I like to Blog it Blog it: Craig. 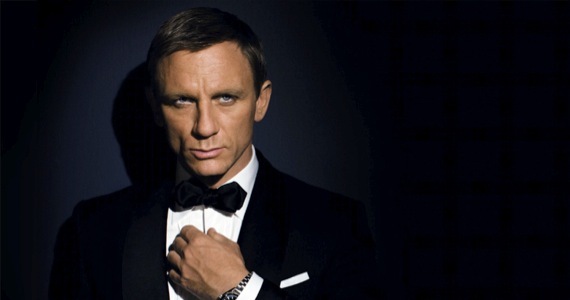 Daniel Craig. Skyfall, the new James Bond movie is releasing here today and I can't wait to watch it. The reason - 100% Daniel Craig. The first Bond movie I watched was probably Goldeneye in 1995. I remember loving the song. And I thought Pierce Brosnan was the shizzle and could never be replaced by another Bond ever again. And then when Daniel Craig waltzed in as the new Bond, I remember being disappointed. And then I watched Casino Royale and everything changed. Daniel Craig was so perfectly cast. Such a manly man! He was so much more than being about the gadgets, the women and the martinis. And made me think about how Pierce Brosnan should have stuck to being Remington Steele.